Discussion in 'Forza Motorsport 7' started by GTPNewsWire, Dec 1, 2018. This article was published by Kyle Patrick (@SlipZtrEm) on December 1st, 2018 in the Esports category. The first time trial starts today. And so it begins. 146 players registered according to the WG website. Conveniently the submission process is much easier this time around, using the in-game leaderboard rather than submitting via YouTube and crossing your fingers that it’ll be good enough. The only snag is that, if the practice rounds were any indication, non-Canadians and ineligible players will be able to set times as well, making it hard to know who you need to beat/who you’re competing against. Sounds about right. I guess you can cross-reference with the site and the in-game leaderboards, but it'll be tough. I haven't seriously tried to hotlap in FM7 in months, and I really planned on getting back into it at the beginning of the month. Which of course, I didn't. I'm patently awful at VIR, so I'll use it as practice: Laguna Seca is a much better track for me, as the only one I've ever made money off of through gaming competitions. I find FM7 is really sensitive to how abruptly you let off the brake in terms of turn-in. I run ABS off too and I know what you mean: turn 1 and the beginning of Oak Tree is where I’m inconsistent on my entry. I’ve run another two dozen laps today and knocked a second off my clean lap. But what’s really frustrating is I’ve been over a second up before botching the final complex. I can see sub-58s, which is where I think the cut-off will be for qualifying. I skipped over any name that isn't on the WG site. SushiXXX and you are the next folks, with five others under 01:58 (though I think two of those are ineligible). Not sure what time qualifying closes today. 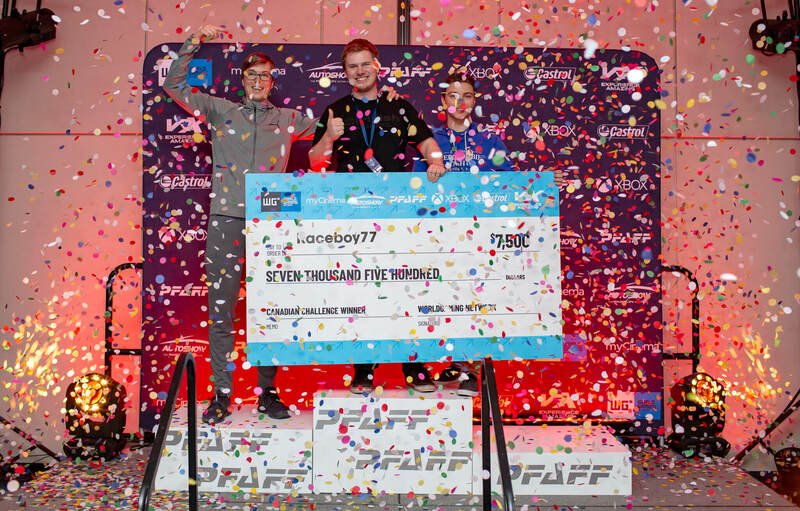 This article was published by Kyle Patrick (@SlipZtrEm) on February 25th, 2019 in the Esports category. That was some damn good racing man. Nice and clean too. Can't believe how so many guys raced with controller including the winner Raceboy. That one beats me. I would've thought wheels would have been a sure advantage...apparently not. Something else to is how a couple of them well their driving view of choice was external and not cockpit. Congrats to all. Using a controller is an advantage on the Forza games. As far as I'm aware, most of the top Forza players use a controller along with the chase cam. I tried Forza Motorsport 6 a few years ago and found the most success using those things.